What is that code? Why is my truck running hot? Shouldn't I be getting more Horsepower? Take the mystery out of what's going on under the hood. What goes on under the hood of your truck shouldn’t be a mystery. Safety and confidence whether driving across town or across the country is vital. If your vehicle is skipping, throwing codes, starting hard, or just not running right, you need to know why… and fast. Letting a problem persist could not only cost you time and money, but could lead to total engine failure putting you in danger of being stranded...or worse. Taking control of your vehicle and being able to monitor system malfunctions in real time can save you from at minimum, pesty sluggish horsepower, or at most, a full force disaster. Even if you don’t have any codes or skips and your is truck running.. ok, are you getting the torque or MPG you want from it? What changes need to be made to you can get the most out of your truck without it costing you a fortune? How can you control the safety and performance of your truck easily and without having to internet search every skip or miss, or take it into the shop for a gauge malfunction? A monitor. Here is where things can get really confusing. The choices are so varied that many are immobilized by picking a monitor for fear of hurting their engine or not getting what they are hoping for. With the right tuner, nearly any function that is computer controlled can be gauged and manipulated to provide a better, nicer running truck. You can adjust fuel quantity, injection timing, turbo boost, injector pulse width, shift timing and firmness, idle speed, top speed limiters, and much more with the right tool. Edge has been hard at work creating the next generation of monitoring device: the Edge Insight CTS2 Tuner and Dashboard Monitor. Using the absolute latest, most up-to-date technology, this powerful device features a full-color touchscreen that can display a massive variety of vehicle information in almost any color or gauge setup. 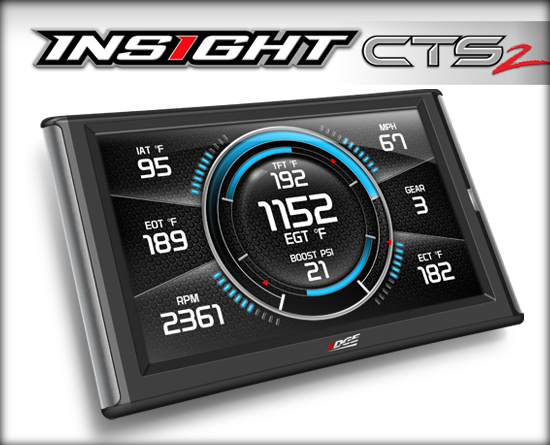 The Edge Insight CTS2 is lightweight, digital, simple and customizable. Whether you have modifications done to your truck already, or just want to monitor your stock features, the CTS2 just plugs in and goes. Along with the several different tunes available, the CTS2 can also read and clear diagnostic trouble codes, therefore dealing with issues with your vehicle before they become big problems. With the simplicity of a digital HDMI plug in monitor, you can control the full range of your vehicle's performance. The built-in digital gauge display scan tool captures and records information such as peak speeds, RPMS, horsepower & torque levels and performance times. Not only can the Insight CTS2 monitor vehicle performance, but it can also be programmed to provide audible and visual alerts to help you protect your vehicle as well. 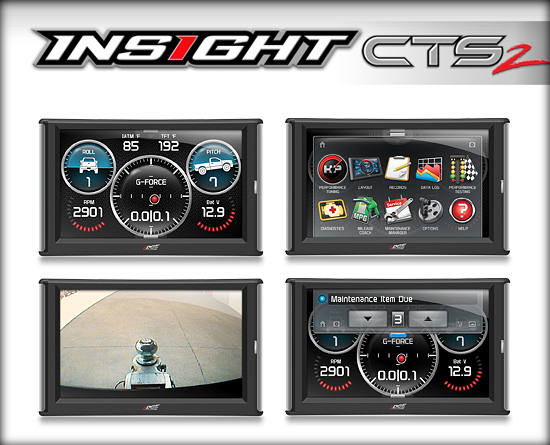 Check out what the Edge Insight CTS2 has to offer! 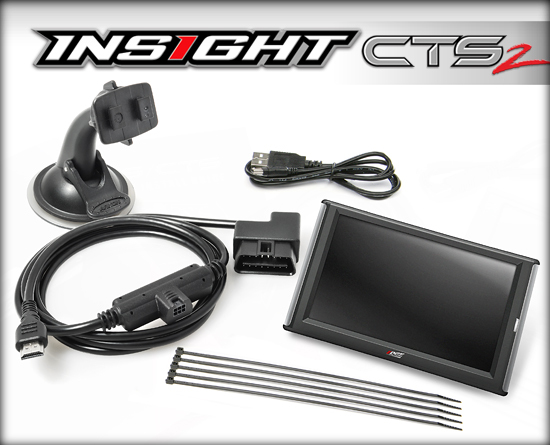 To get your Edge Insight CTS2 at 10% off AND free overnight shipping, click here!